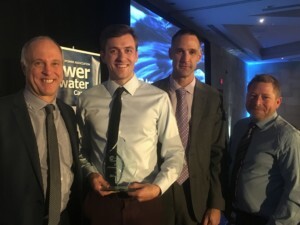 On the evening of October 29th at its annual Power Water Canada Conference the Ontario Waterpower Association presented its annual awards in the following categories, below are a list of the 2018 recipients. 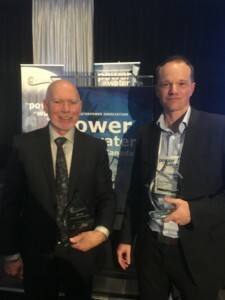 Since 2005, the Ontario Waterpower Association has annually recognized the outstanding contribution of an individual to the advancement of waterpower in Ontario. Mr. Ronald R. Dodokin was a driving force in Ontario’s waterpower industry in 1980s and 1990s, defining the entrepreneurial spirit, commitment and passion that typifies waterpower proponents. He led the creation of the former “Waterpower Association of Ontario”, an organization that shared many of the same objectives and aspirations of the OWA. Mr. Dodokin’s family has graciously agreed to the use of his name for this award. Rick is a highly respected geotechnical engineer whose work in dam design and dam safety has been integral to many hydroelectric projects in Ontario, Canada and internationally. Throughout his 40-year career with Hatch, Rick worked on projects all over the world, bringing his knowledge, experience and expertise to India, Chile, Peru, Uganda, Indonesia, Iran, and more recently to Nepal. 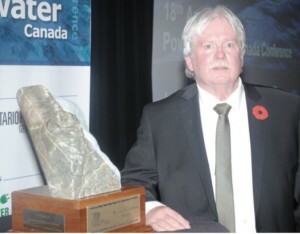 He has been long established in the Niagara region and his contribution to the advancement of waterpower in Ontario is certainly significant. has made significant contributions to build capacity among First Nations communities through co-development. Energy Ottawa’s goals for the Chaudière Falls Generating Station have always been three fold: to produce clean, renewable energy in an environmentally responsible way; to provide a publicly accessible space to be enjoyed by all; and to serve as a place of recognition and celebration of Canada’s First Nations and Ottawa’s industrialist past. The facility includes several innovative approaches to preserving the American eel and improving fish survival rates as well as opening public access to Chaudière Falls for the first time in over 100 years. The park pays tribute to the traditional importance of the site by First Nations peoples as well as the industrial past by incorporating a blend of design elements of each including traditional First Nations plantings, a gathering circle, and benches composed of old stop logs from the dam. can demonstrate how the innovation will benefit the proponent and strengthen the waterpower industry in Ontario if adopted by others. The 1 megawatt (MW) Elora hydroelectric facility, located on the south bank of the Grand River in Wellington County, achieved commercial operation in May of 2017. Since the 1850s, water has powered mills and factories on both sides of the river in Elora. The badly deteriorated Drimmie Dam was reconstructed by the Grand River Conservation Authority in 2014. The run-of-river facility took advantage of the rebuilt Drimmie Dam. The project is located where a 1911 power plant was situated and was built using the footprint of the old structures, such as the canal and powerhouse building. The powerhouse contains a single crossflow turbine-generator unit supplied by Ossberger Hydro Inc. The unit is able to operate from 5% to 100% of its total capacity, which results in higher annual energy production given the wide fluctuations in river flow over the course of a calendar year.